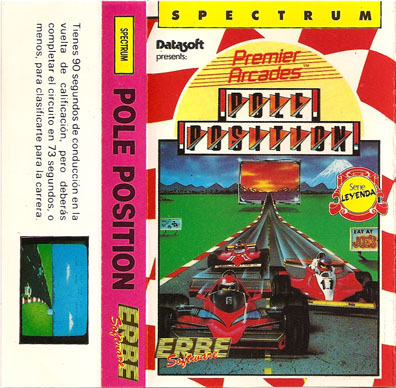 Remarks According to Computer Gamer: "Pole Position for the Spectrum came out originally in May 1984 under the Atari label. 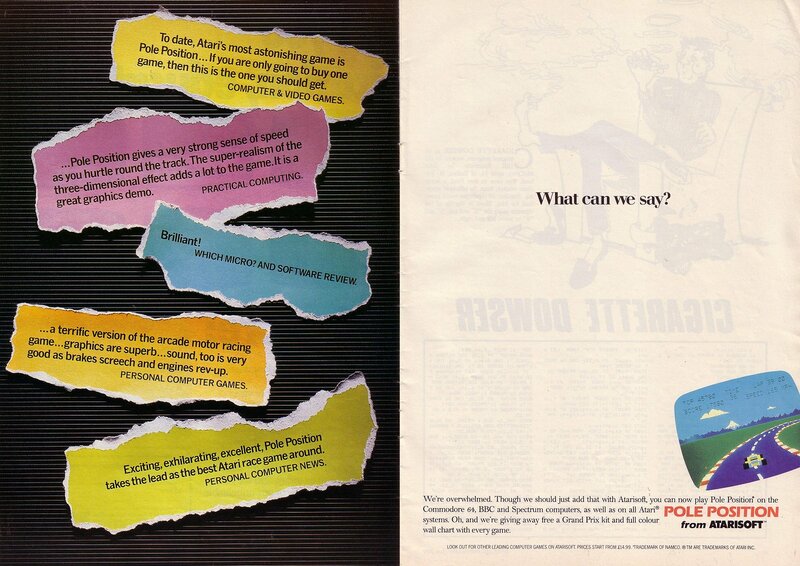 But with the 'new look' Atari, they lost the licence from Namco for Pole Position. 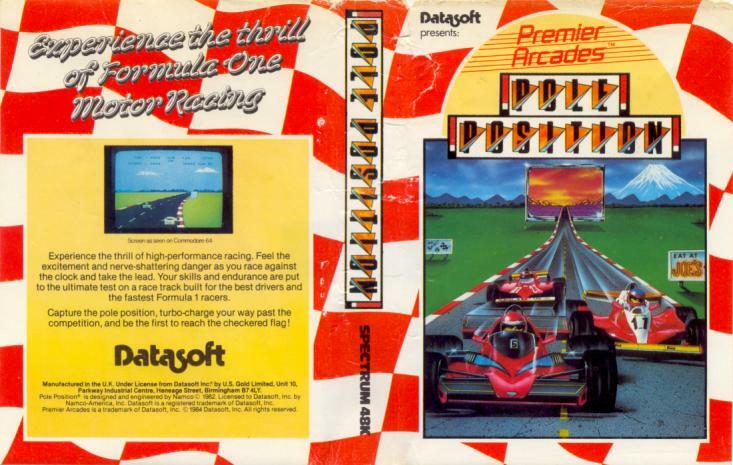 So Datasoft ended up with the game rights to Pole Position. So to cut a very long story short US Gold have ended up with the Datasoft version of the game. The only difference between the two versions is that the signs on them are different. 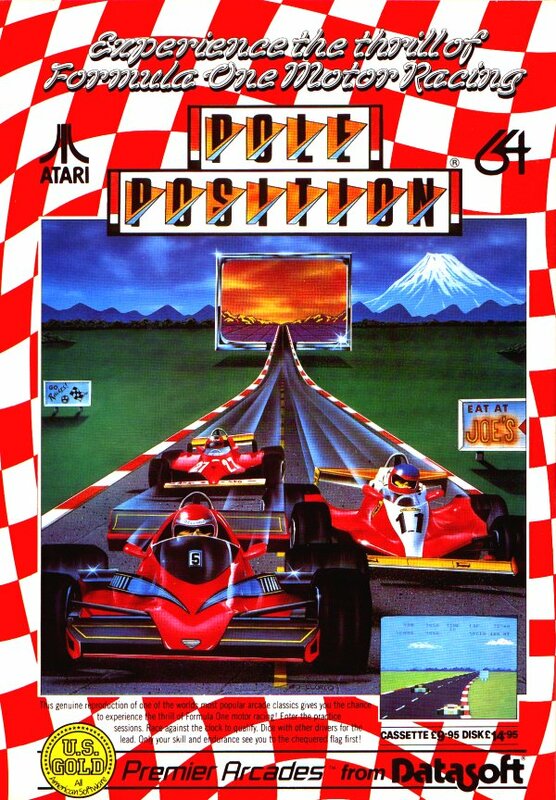 One says 'Datasoft' a lot and the other says 'Atari' a lot. 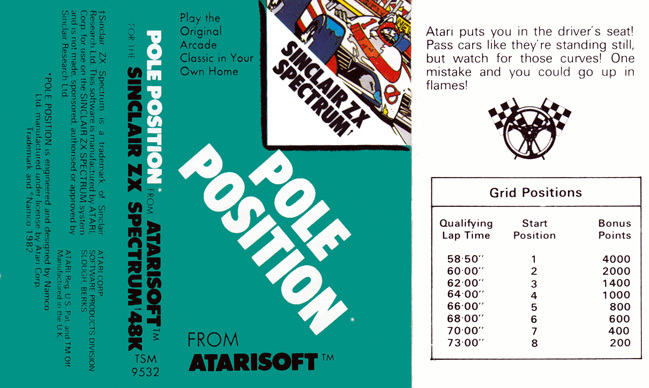 Otherwise the game is straight Pole Position."